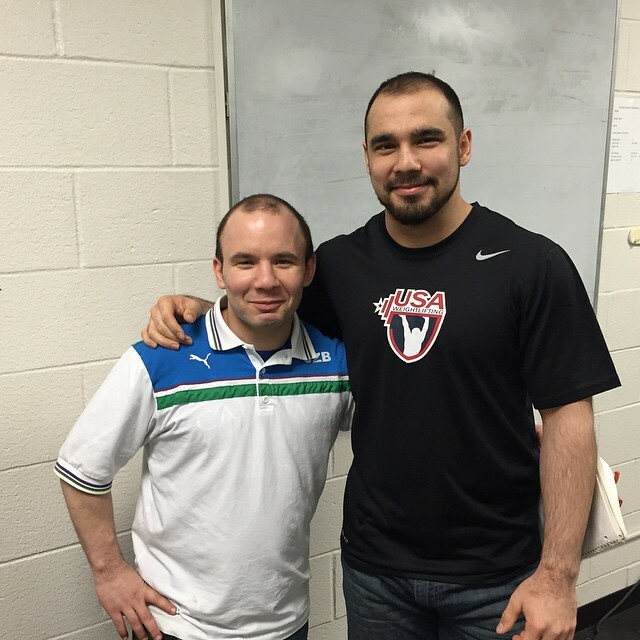 Barbend’s Senior Uzbekistan Correspondent, Mike Graber, is a 2011 US National Champion and multiple time national medalist in Olympic Weightlifting. When he’s not attending a sporting event he usually can be found making spreadsheets in Corporate America. 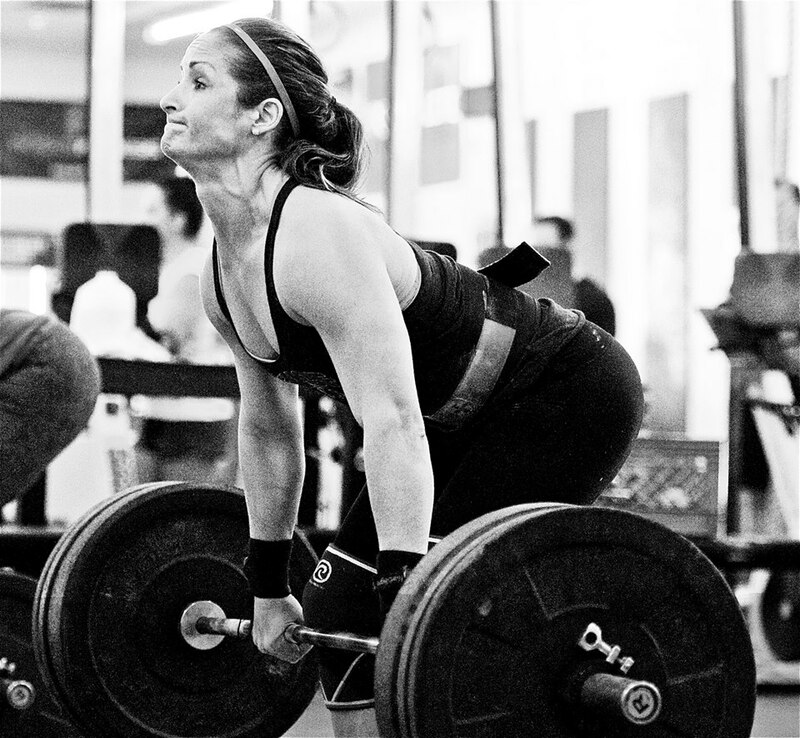 Can you speak a bit about your athletic background and how you got started with weightlifting? I grew up in Buffalo, NY and I wrestled. We had the Empire State Games, which was like the Olympics of New York. I wanted to compete in wrestling, but I was never actually good enough to qualify in wrestling. In high school, though, I’d done some benching, squatting, etc.—basically powerlifting—and I saw that weightlifting was an event at the Empire State Games. I saw that the guy who won it in my weight class did so with 200. I thought that meant 200lbs. I didn’t know better. Later I realized that 200kg is actually a lot of weight, and that moving 200kg as a 56kg lifter required so much strength, skill, and precision. But, I stuck with it. It kept me in shape and it kept me socialized with people at the gym. By now, I’ve been doing it for about 15 years. When and how did you get involved with Barbend? What does your work there entail? A friend of mine, Dave Tao, is one of the co-founders and Chief Editor of Barbend. I met him years ago through weightlifting. Long story short, he and his other business partners had this great idea for a website that would provide professional media coverage of strength sports. He said that everyone had a story to tell and no one’s telling those stories. At the time, I was like, “No, that’s silly, no one would want to go to a website like that.” That was roughly a year ago—February 2016. I started by writing one article, and then that turned into two articles, and then into something that I really believe in. The nice thing about Barbend is that, while we cover all strength sports, the people writing about those sports have experience in them. I cover weightlifting. My official title is Senior Uzbekistan Correspondent, mostly for fun. I went to Uzbekistan a year ago and I’m good friends with Muhammad Begaliev, who’s on the Uzbekistan team. Through him, I’ve met a lot of the national team, but that’s the extent of my correspondence. In terms of media coverage for weightlifting, where do you see Barbend fitting in? Up until Barbend, media coverage of weightlifting involved mostly photos or videos. People were doing a great job, but there were obviously limitations too. I’ve done a lot of athlete profiles for Barbend. It’s interesting to see how an athlete trains or to get into their mindset. Same thing with coaches, too. I do believe that everyone has a story. For example, I talked to Dave Spitz a few months back… I’ve known him for years. Most people know that he started CalStrength, but there are also a lot of details that most people don’t know. Which one of your articles has received the most attention? Actually today, we published a preview of the national championships and I’ve gotten a lot of positive feedback about that. Last year’s news about the Olympics and failed drug tests also attracted attention—I think because it was pretty shocking. Articles where we were able to break complex ideas into manageable concepts—such as the Olympic trials last year—those have done really well. I’m curious about the piece you wrote last year about the 2016 drug retesting. You wrote, “I believe it is the system as a whole that is flawed and needs revamping, not a parade of athletes who are retroactively labeled as cheaters.” What sort of changes do you think need to be made, and what would need to happen for those changes to occur? To some extent, I feel it’s happening now. At least in the United States, Canada, and really the English-speaking world. We’ve been held to a higher standard when it comes to clean and fair competition. That wasn’t always the case, but things have changed a lot in the last 20 or 30 years. A lot of progress seems to be happening in Russia as well. They’re taking positive steps forward. I’m going to guess that we’ll see them in Anaheim, and I’m going to guess that we’re not going to see some other countries that were in a similar situation following the Olympics. Who are the athletes we should be watching this weekend at the 2017 Weightlifting National Championships? Who are you excited to see? I think there are a handful of people who are potentially attempting American Records. There’s Colin Burns, who pretty much attempts a record every time he sets foot on the platform. Cortney Batchelor, too. She and Caitlin Hogan could potentially break Melanie Roach’s record for the 53kg class. Sarah Robles has one of the biggest hurdles to overcome in terms of American records, but she is poised to challenge Cheryl Haworth’s record for the 90kg+ class. In terms of battles, I think the best competition will happen in the 53kg class. It’s not just Batchelor and Hogan, but also 2016 Olympian Morghan King who has moved up a weight class. Since we are so close to the Pan American Championships and this is the last qualifying meet, should we be looking for any specific names in terms of filling that roster? After Sunday night, there will be 8 men and women on the Pan American team and a minimum of 4 alternates. After that, the Team Selection Committee will choose the final 8 team members plus 2 alternates. That committee consists of Pyrros Dimas, Lance Williams, Allie Henry, and Leo Totten. In terms of athletes who might be on the bubble in terms of making the team, there’s D’Angelo Osorio, who’s around the 8th or 9th spot. He’s had a great year so far and I’d like to see him hit a little more weight. Looking ahead, what should folks be watching for at the Pan Am Championships in July? It’s in the United States so hopefully a lot of people show up. Miami is a heck of a place to go. The US has a lot of people capable of medaling. Robles in theory should win. Colin Burns should also win. Internationally, Columbia is probably the team to watch out for. They had an Olympic champion last year. They also had a bronze medalist in Luis Mosquera. From Brazil, there’s Fernando Reis. He’s been training in Miami, and he’s looking forward to attempting (and hopefully setting) Pan American records. 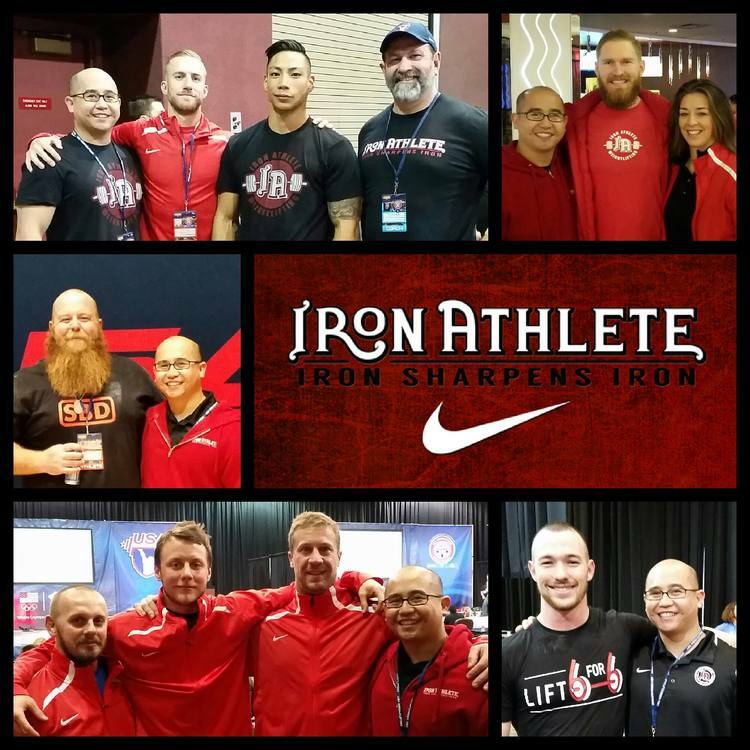 Barbend has also recently reported on the emergence of USAW’s Development Camps—do you think they’ll change the landscape of American weightlifting? You never know, but the way things have been going, I’d say yes. Things have already evolved so much since I was an athlete less than ten years ago. When we heard about CrossFit then, so many people were derogatory about all things CrossFit. Now we’re seeing all these kids and whole generations of weightlifters coming into the sport from CrossFit. These USAW camps will draw athletes not just from CrossFit but also wrestling, gymnastics, football, soccer. They’ll be able to reach individuals who wouldn’t have encountered the sport otherwise. Do you see Barbend growing in any specific direction in the near future? We’ve been doing a lot of product reviews, which I see us continuing to develop. We’re the official media partner of USAW, so I expect us to be at more events—not just to provide commentary, but as a presence. What are you working towards now, professionally? I have a day job—I work in corporate America. I have a lot of spreadsheets. For Barbend, though, I have a lot of travel coming up. I enjoy traveling and weightlifting, and when I can put the two together, I do. I’ll be in Montreal this weekend for the Canadian national championships. July, I’ll be going to London for the Great Britain national championships. I’m working on going to Uzbekistan for the wedding of Timur Begaliev (Muhammad Begaliev’s brother). I’ll be going to southern California in July. Where can people go to find you? If anyone is interested, we take ad hoc writers at Barbend. They can contact us at info@barbend.com.